A common question that many people that are new to binary options, or even trading in general, ask is: if trading is high risk, why do it? The belief that accompanies this question is that if more people lose money than gain, why even bother? 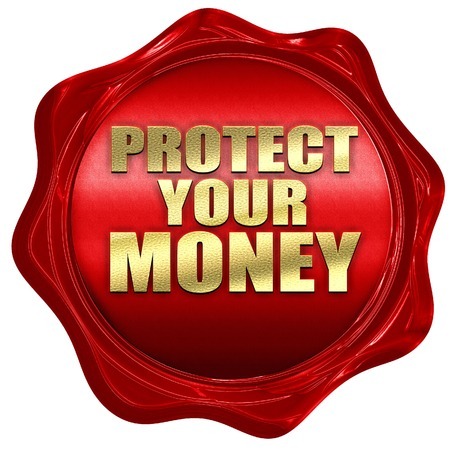 Isn’t your money safer somewhere else? What these people do not understand is that high risk does not equal definite loss. Being able to walk this line, and to turn high risk into high rewards is what makes binary options so attractive. It’s why people trade them knowing that there’s a decent chance that they could lose money. And it’s why so many people create products that don’t work or underperform to sell to you so that you can think that you have a better chance of catching some of those high rewards that everyone mentions. Our goal here is to show you what to look out for and what things to take into account if you want to be a profitable binary options trader. First and foremost, you need to know what you are capable of, what your risk tolerance is, and ensure that you will never overstep those boundaries. There are some general rules to follow that will allow you to accomplish this. The most important is to never trade with money that you need. This is extra money, not money you were going to use to pay rent, or money you were going to put into your retirement account, or money to buy your kids some food. It is extra, and losing it should have no emotional bearing on you. Next, never trade more than 2 percent of your account at a time. If you have $1,000 in your account, your largest trade should be for $20. If you have $100 in your account, your broker might not let you make $2 trades, but if they do, this is what you should be doing. This will ensure that your losses are always individually manageable. There are a lot of binary options brokers to choose from. Ask all kinds of questions before you make the final pick. If you were putting money into your retirement account, would you be upset if the value dipped 10 percent after a month? What about after a year? With most people, we know that these things are common, especially when starting out. The same is true with trading. You are not likely to be a superstar binary trader after a week. Or a month, or even a year. People spend lifetimes getting good at trading, and you should be focusing on the long term potential for your short term trading. Doing otherwise is going to set you up for failure. Let’s go back to the retirement account. If you were opening up a new 401(k) at work, would you have just one fund in there? No. You would probably have at least four or five different funds in your account because that’s the safest way to do it. And just like with this, you need to take on an element of diversification in your binary options trading to protect yourself. This can be done by learning to trade different asset types or different expiries, but whatever you do, you need to take on a level of protection in order to further safeguard your cash. Binary options are beatable, but they are not easy and you need every edge you can get. You should be familiar with risk management, and what methods will benefit you the most for your personal style of trading. This is perhaps the most important element of being a profitable trader. You need to keep learning as you go. Falling behind in the task at hand is always part of the growth. The best traders are always learning new concepts or trying out new ideas. They might try a new signals service or binary options trading robot to see if it can get them an edge. Oftentimes, these new ventures are what takes a good trader and turns them into a great one. But if you don’t keep learning, you will never reach this point. The best traders study the market news, they are on top of all of the latest trends and topics in the blogs and strategy forums, and they are not afraid to take reasonable risks once in a while. They are able to do this because they know what the risks involved with this are, they’ve taken them into account, and they still believe that there is a decent chance that this could be beneficial to them. Please note here that this means that they’ve looked at the risks, have evaluated them thoroughly, and know that there’s a chance this type of thing won’t work, too. It’s only through experience and learning that this type of decision can be made. That’s the sign of a great binary options trader, and our goal is to help you get to that point.